H668A, Flame 3' x 5' Tufted Wool Rug(CLICK SIZE BUTTON BELOW TO VIEW PRICING AND AVAILABLE SIZES). H668 Flame. 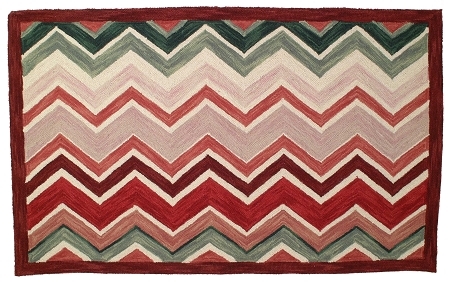 Bold and briliant hand tufted wool rug made from 100% wool with a cotton cloth back. 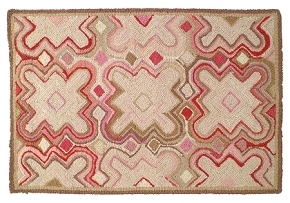 This exciting rug design is taken from one of our best selling needlepoint pillows, NCU347 FLAME. 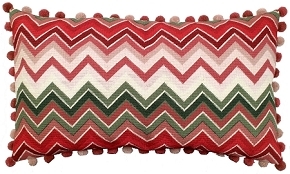 The needlepoint in the pillow is done in a beautiful stitch pattern called "flame". This rug is done exactly the same way. Compimentary Pinks and greens surround this rug. Looks great in any room!